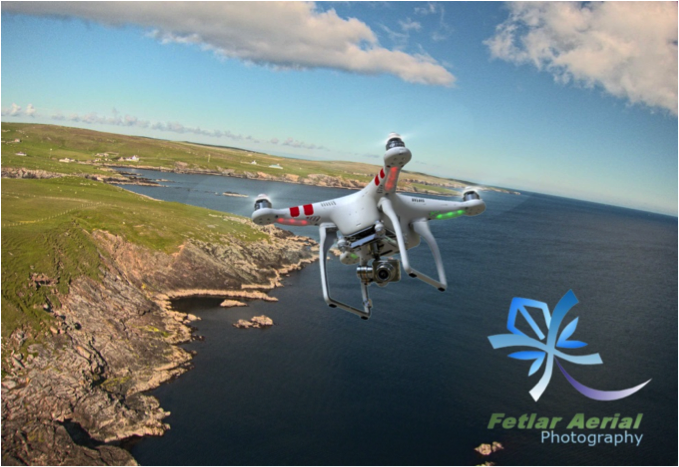 During this season Fetlar Aerial will be flying a drone for archaeological survey work around the island. The drone is white in colour - about 1 foot across displaying Red and Green lights. This vehicle is GPS controlled and can operate at a distance from the pilot, and therefore can appear to be alone. It is, however, constantly under control, and is capable of automatic flight to return it to base (at safe height) if it suffers a system failure. The archaeological work at some sites will be used by the University of Vienna. All flights will be conducted in safety dictated by the Civil Aviation Authority in CAP 722 (Unmanned Aircraft Sytems Operations in UK Airspace – Guidance 10-8-12) document. & the relevant amendments of the UK Air Navigation Order (CAP 393 May 2014). The purpose of this notice is to avoid any confusion or distraction by anyone seeing this object flying.